Anilao is located in Mabini, Batangas and is one of the popular diving spot here in the Philippines because of its proximity in Manila as well as its diversity of marine life. 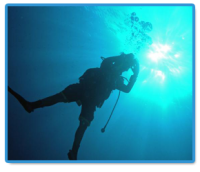 The City of Puerto Princesa is not only the capital of Palawan; it is also a haven for diving enthusiasts who want to see exotic and breathtaking dive spots. 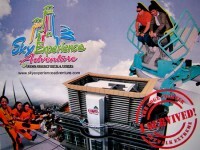 These activities are simply the reasons why guests continue to explore and feel more than the usual experience that Cebu has to offer – pleasure beyond imagination, only in Sky Experience Adventure! The Puerto Princesa Subterranean River National Park features a limestone mountain landscape with an 8.2km underground river. Inside are major stalactite and stalagmite formations, and several cathedral-like chambers and domes. The Tabon Caves -- one of the places that one needs to visit when in Palawan, not just because it is a tourist site, but also because this is a reclusive place perfect for deep thoughts. 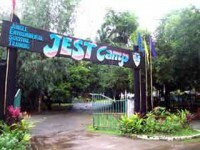 JEST (Jungle Environmental Survival Training) CAMP is a unique activity wherein you will learn how it is to survive in the jungle. Located in Subic, they offer jungle survival techniques as well as a beautiful scenery of the Subic jungle. 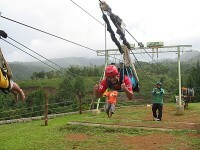 Cagayan de Oro is the home of the longest dual zip zone that is 840 meters long. It is located in Dahilayan Adventure Park that also offers horseback riding, ATV rides, Zorbit, and mini-ski boat rides. Donsol is a small town, located at the south of Luzon island in Philippines. 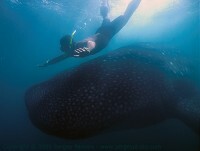 The bay of Donsol during the high season becomes truly the whale shark capital of the world. Whale sharks (locally called "butanding") are frequently seen here from February to May. Windsurfing in Boracay is the most adventurous and the greatest attraction for the tourists and the sport lovers. The crystal clean water of the Sibuyan Sea accompanied by a strong wind provides the greatest water surface to windsurfers. What was once a violent volcano that erupted in 1991 is now a top tourist destination. Mt. Pinatubo offers hiking tours as well as boat rides and camping activities.